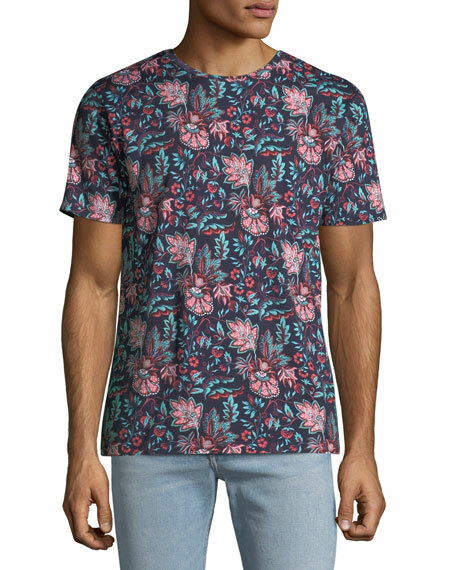 Dries Van Noten T-shirt in floral print. For in-store inquiries, use sku #2460606. 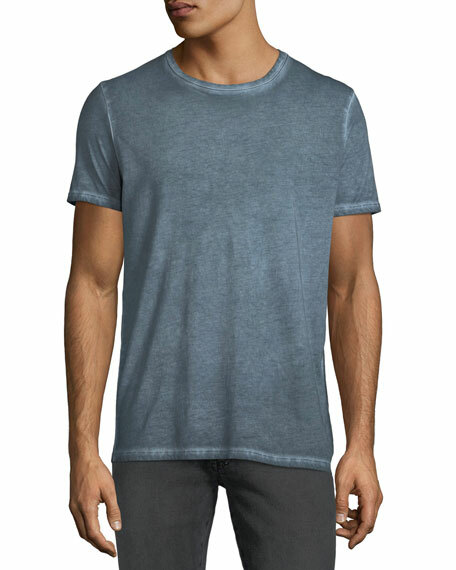 ATM Anthony Thomas Melillo T-shirt in jersey with sublime wash. Crew neckline. 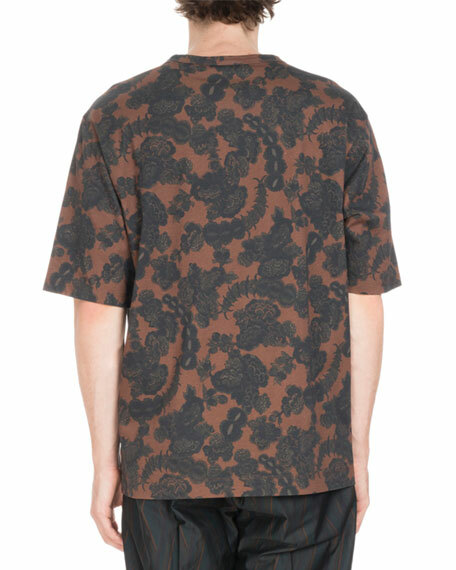 Straight hem. Cotton. Made in Peru. Brunello Cucinelli T-shirt in cotton jersey with striped armband detail. Signature Solomeo crest at left chest. Crew neckline. Short sleeves. Straight hem. Pullover style. Hand wash. Made in Italy. 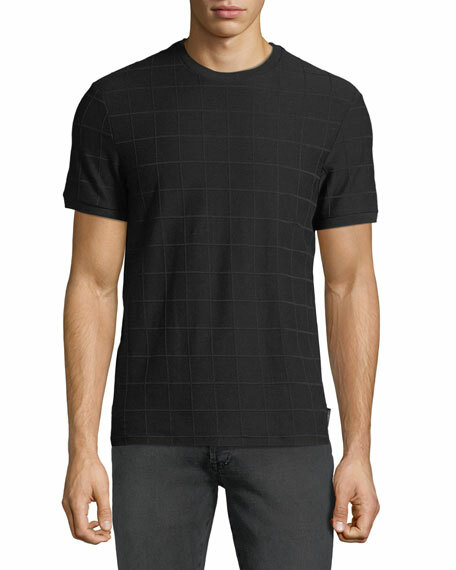 Emporio Armani T-shirt in tonal grid pattern. Crew neckline. Short sleeves. Regular fit. Straight hem. Cotton/spandex. Made in Bulgaria. 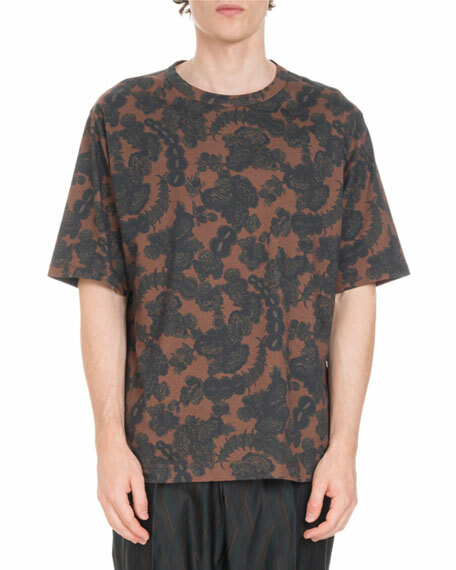 Model's measurements: Height 6'1"/185cm, waist 32"/81cm, typically wears size M.
Etro tee in floral print graphic detail. Crew neckline. Short sleeves. Pullover style. Cotton. Made in Italy.